Warning – what follows is a rant/call to action for EVERYONE, even if you are not on the island. For the last 5 months, the BIG Garbage Clean up has been in the planning and organizing stages. HUNDREDS of hours have been dedicated to this project by only 4 determined ladies (that also have full-time businesses) and many many additional hours by others wanting to help. The task was ENORMOUS, but they took it on because the issue this island has with garbage being dumped on the roadsides is affecting our environment and it is beginning to have an effect our #1 industry – Tourism. There is NO job here on the island that does not depend on tourists continuing to come to the island, and yet no one seems to care that the first thing the tourists see as they approach the island by air is trash upon trash along the tarmac dumped on the San Pedrito Highway – not the greatest first impression after the beauty of the ocean that they’ve been photographing on the way over. Or the trash just North of the bridge and on the way to our #1 land attraction, Secret Beach. If the island continues to see the growth rate of the dumping of garbage that we have seen in the last few years, it will not be long before the major tourist areas begin to look like San Pedrito Hwy and San Mateo. How long before it’s your view from home? When will the people on this island care enough to work at fixing the problem instead of just saying that it’s Town Council’s responsibility? While I agree that it is their responsibility to enforce the no dumping laws and provide a viable way for the people to properly dispose of their trash (big and small); there comes a point when a job is too massive for a small group to do it all – as many of us have found out with past cleanups. There must be the support of the community and an effective alternative to dumping for the problem to be corrected. While I do not want to minimize the efforts of the volunteers that have come and helped and those that have donated money, food or supplies; I’m sorry to say that there was simply not enough people that had bothered (one more time) to show up and/or donate. We have used every donation given to the project to hire people for the cleanup and purchase garbage bags and other things needed, but we're still woefully short of enough hands and vehicles to make this project as successful as the island needs it to be to reach its full potential as a vacation destination. The goal was to be successful enough to pressure Town Council to make a commitment to ensuring it stays clean such as enforcement of fines for dumping, more trash cans, using their resources to clean an area where someone has dumped. But if the area is too overwhelming for their resources to start with, why should they bother when no one cares about the trash, to begin with? If the people cared wouldn’t there have been more people helping with the cleanup? Trash can be very telling about the ones dumping it, you’d be shocked at who’s garbage we have found back in San Pedrito. Once it is cleaned up, it will be easier to identify and make responsible those that have illegally dumped their garbage, building material and waste. This garbage clean-up was a ONE SHOT DEAL and WILL NOT happen again, at least not by this group. HOWEVER, WE ARE NOT DONE. The BTIA will continue to do it’s best to fight this issue as it has the island’s best interests at heart. With the power of the BTIA behind this, the leader of the garbage clean-up committee has developed and gotten the education of the island trash cycle and littering into the schools already! Education is the key for long-term, but in the short term, a big cleanup had to happen for it to not be so overwhelming that it cannot be managed. We WILL be putting pressure on the town council to enforce dumping laws, but it needed to be cleaned up before we could do that. I would also hope that community pride in where a person lives can also help monitor the situation by simply not wanting their front yard to be a dump again. But ultimately, it will come down to a better alternative being available than to take the garbage down to the dump on the South side of the island. So, what’s the solution? I believe the solution lies in accessibility to a legal trash site and education of proper trash disposal, but who’s willing to take that on alone? If you want to see change, you need to be a part of a group that has a voice. I belong to a non-governmental organization that I know can have a positive effect on this and other issues long term. The Belize Tourism Industry Association (BTIA) San Pedro Chapter will do everything it can to educate and lobby for an alternative to illegal dumping. The BTIA can give your concerns a platform to be heard where one voice would be lost. Individuals, as well as Businesses, can join and be a part of the group that can change things for the better. The more people and businesses we have, the more power we have - in a country where there is none for the individual or small business. I felt extremely alone before I joined the BTIA and am so happy that it exists to give my concerns a chance to be heard by a group that has the best interests of the island and country at heart. Look them up online (https://btia.org) and see what they do, come try out a San Pedro Chapter meeting (last Tuesday of every month) to see if it’s an organization you'd like to belong to. Anything that moves us forward is better than simply complaining that someone should do something about it. 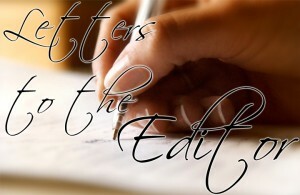 Letter to the Editor: NO Saga Humane Society? Letter to the Editor: San Pedro Lobster Festival says thank you!